Shaun is a corporate lawyer based in Sydney. 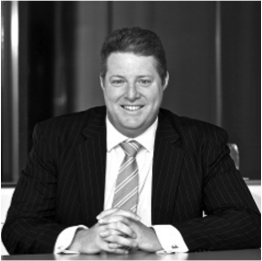 He is the Australian Head of the Mergers & Acquisitions practice. He regularly advises on a wide range of corporate and securities law issues for public listed companies including takeovers, schemes of arrangement and capital raisings. He advises on Australian Stock Exchange compliance matters and regularly acts for both bidders and targets in connection with takeover bids and schemes of arrangement (hostile and friendly) for ASX-listed companies. A leading practitioner in equity capital markets, Shaun has also advised numerous companies on their initial public offerings and capital raisings (rights issues, AREO’s, placements, employee share and options plans). Shaun has presented at a variety of seminars and conferences and published several papers in his areas of specialisation. His areas of expertise are mergers and acquisitions, corporate advisory and capital markets.